Our road to the orchard, which is adjacent to Barratt Creek, is really a bund wall between two wetland systems. This year’s ‘wet’ is living up to its name with a total rainfall so far this year of 2771mm (not counting what is falling in the gauge now) so it is not surprising that the road has been under water on several occasions. The last major pick of Mangosteen was transported back from the orchard by dinghy! 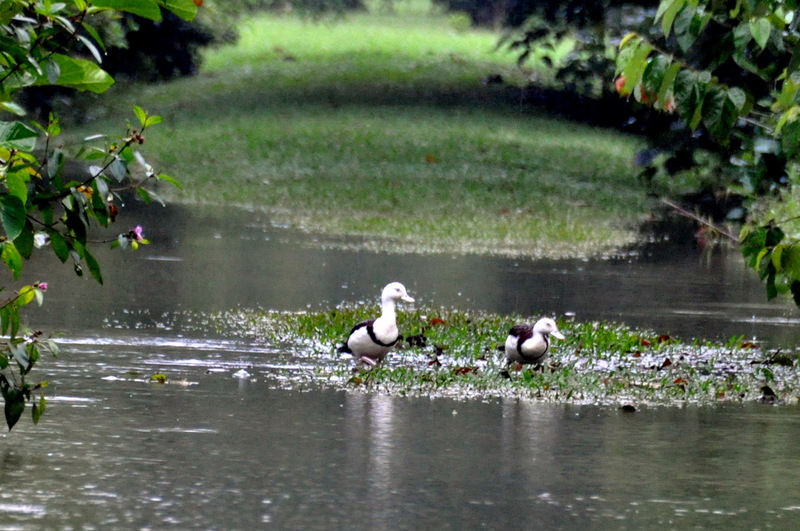 This grassy track and the orchard, both with lots of shallow puddles, have recently attracted this pair of Radjah Shelduck (Tadorna radjah) – a duck of a most striking appearance. Although we have seen this species in large flocks at Lakefield National Park during the dry season, in our coastal area only small groups are occasionally observed. We are delighted to have them visit us but the weather conditions have made photography quite a challenge. Allen took both these photos from a long distance away holding an umbrella over the camera. 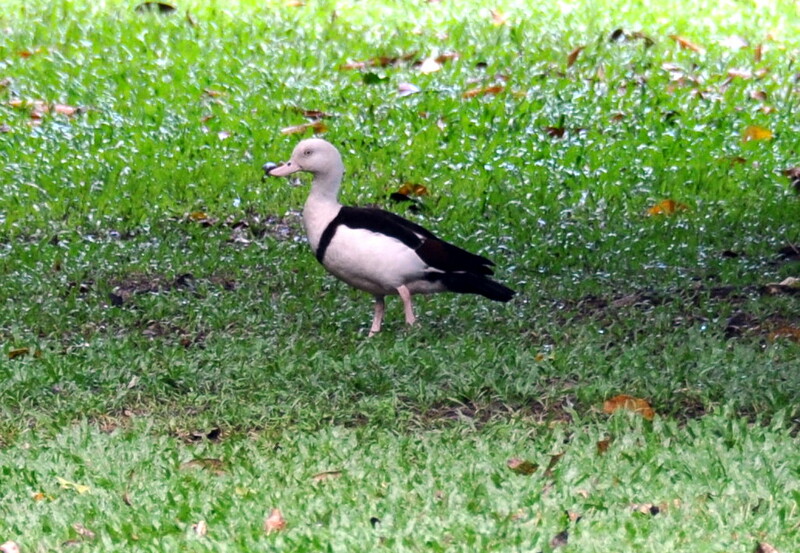 This entry was posted in Bird Observations and tagged Radjah Shelduck. Bookmark the permalink.